Along the lines of my New Zealand predictions, I’ve tried to determine how the Melbourne race might unfold. My usual caveat applies: This is a statistical prediction, and doesn’t take race dynamics, form on race day and a lot of other factors into account. 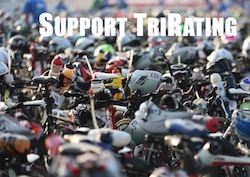 But it should give you a good indication of what to expect on race day and identify potential surprises. If you have your own opinion on who is going to win this race, please check-out IM Betting and you can win a nice price! Luke Dragstra and I have put together this site – you can submit your picks for the top 10 on the men’s side and the top 6 for the women. The best bets (overall, men and women) and a random drawing will win some nice prices from our partners Planet X and Magic Sportfood such as a Carbon wheel set, a bike jersey with matching shorts and a tri-suit or tri-top and tri-short. Clayton Fettel is probably the fastest swimmer in the field – he will probably be about three minutes ahead of the main field. After him, the distances will be small and all the big names should be close together, three (Crowie) to five minutes (Cam) back. Clayton will continue to lead on the bike, and only Marino will be able to make up time on him (probably without closing the gap completely). After these there will be a group with Crowie, Eneko, David Dellow and Joe Gambles, around five minutes back. Luke Bell might be able to hold on to the group, and Jordan Rapp might be able to ride up to them. The race for third will also be pretty close, similar to last year we may have big groups running together. 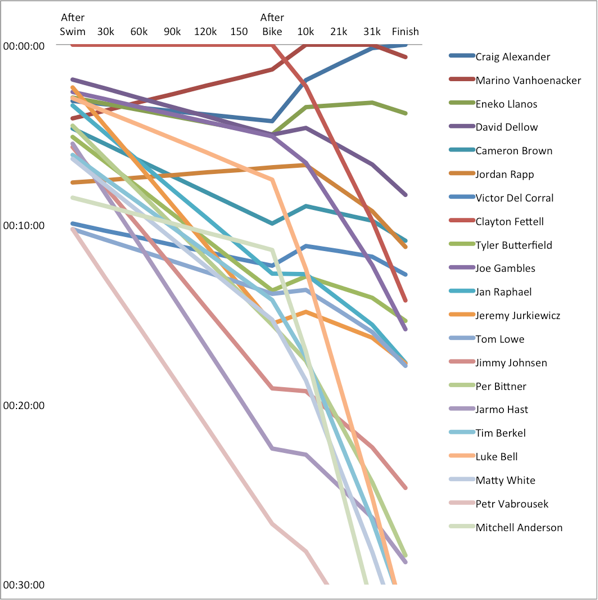 Candidates for the last podium spot are Eneko (probably the best runner of these), David Dellow (who might have improved further), Cam Brown (looking to repeat his great 2012 performance and redeem himself for the third position in his home race), Jordan Rapp (who said on Twitter he is “here for the win”) and potential dark horse Victor del Corral (winner of IM Lanzarote). With such a group of athletes, anything can happen. 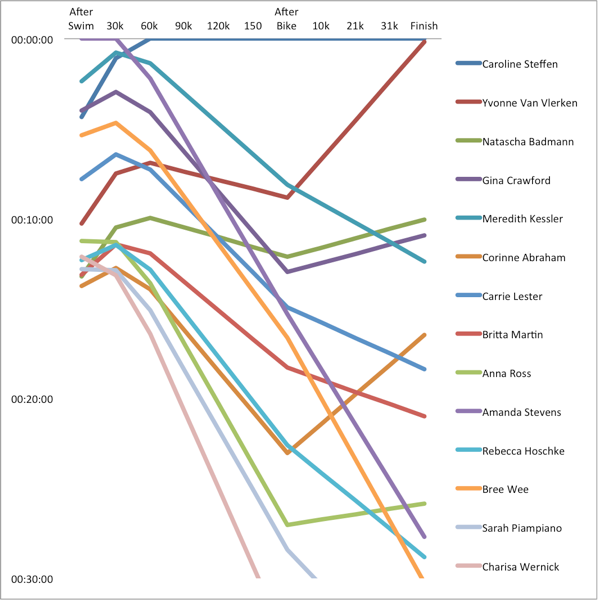 The list of potential leaders after the swim is very short: Amanda Stevens is simply the best female swimmer in the IM circuit. After her, there will already be some gaps between the next athletes. Caroline will be about 4:30 back, Yvonne over 10 minutes. There will be a bigger group of athletes around 13 minutes back, look for Natascha Badmann and Corinne Abraham. Xena will take the lead within an hour on the bike, and will open a big gap. I expect her lead after the bike to be more than 8 minutes, even without posting another world best IM bike time as she did last year. Meredith Kessler will be in second place for most of the bike, behind her Yvonne should gain a few spots and finish the bike pretty close to MBK. The race for third will also be quite interesting: The numbers project both Natascha and Gina overtaking Meredith, but I’m sure that Meredith will have a lot of confidence after holding on to her lead in IM New Zealand. Behind these three, Corinne Abraham should have the strongest run, but she will probably be too far back after the bike to join the fight for third.